Very popular pub that clearly attracts the tourists (like us!). Beer from the local Humpty Dumpty Brewery and friendly helpful staff. Food available from either the kitchen or a pizza oven outside - very pleasant but slow to arrive as they seem overwhelmed by the number of customers. Decent pub close to Ranworth Broad so popular with boaters, nice pint of Wherry, also Crouch Vale Brewers Gold on offer, good food too. Camping available in the garden opposite. 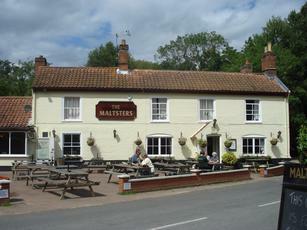 Pleasant staithe side pub in quiet village in the Norfolk Broads. Poor choice of real ales. Visited early so no idea what the food is like.